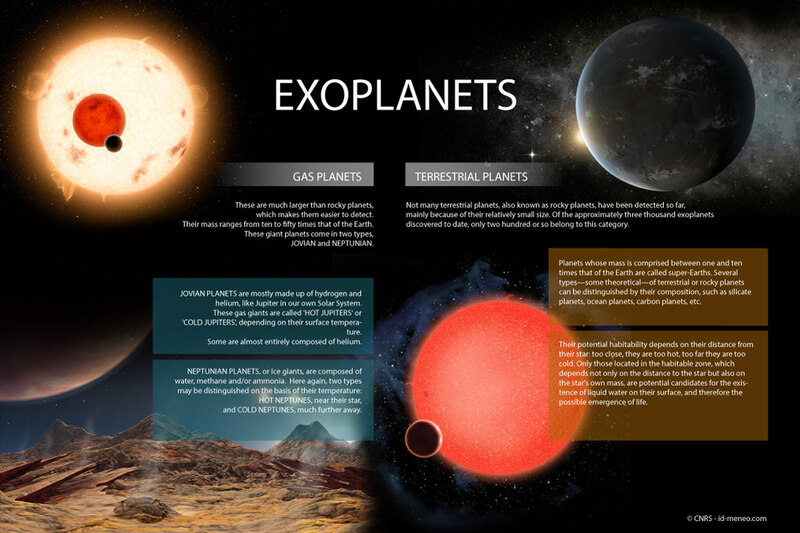 What exactly is an exoplanet? An exoplanet, or extrasolar planet, is a planet located outside our own Solar System, orbiting a star or a brown dwarf. Any object of planetary mass generally orbiting a star is an exoplanet. 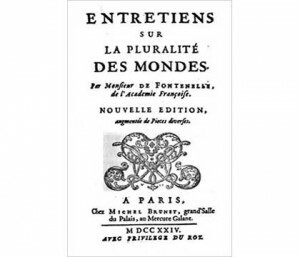 The existence of other worlds: an old issue? « It is not only the number of atoms but also the number of worlds that is infinite in the Universe. There is an infinite number of worlds similar to our own, and an infinite number of worlds that are different ». Epicurus, Greek philosopher (circa 342/341 – 270 BC). « There are therefore countless suns and an infinite number of worlds orbiting around them, like the seven worlds orbiting our own Sun ». 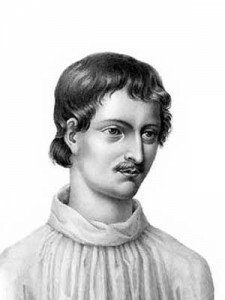 (Giordano Bruno, On the Infinite Universe and Worlds, 1584). « the fixed stars are so many suns, every one of which gives light to a World ». 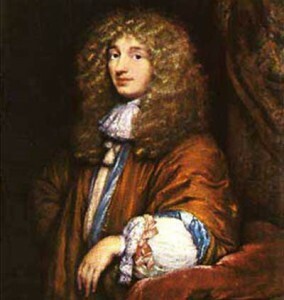 Around the same time, the Dutch mathematician, physicist and astronomer Huygens was the first to come up with the idea of using observational instruments, which were being widely developed at the time, to observe distant planets. 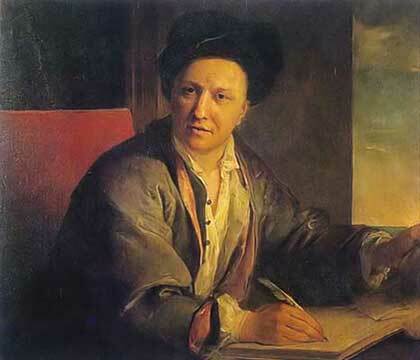 He discovered Saturn’s rings and its biggest moon, Titan, in 1655. « The scientific community has long supposed that if stars are suns (and vice versa! 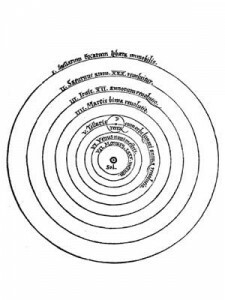 ), and the Sun has planets, then it is highly probable that the other stars also have planets ». From that time on, detections of exoplanets were claimed, none of which were ever confirmed. It was only towards the end of the twentieth century that progress in space and other telescopes, as well as image processing opened the way to genuine breakthroughs in this field. So what does an exoplanet look like? Based until recently on indirect detection methods, the data collected by scientists has enabled them to categorize exoplanets, mainly according to their radius, mass, and chemical composition. However, direct methods, a rapidly expanding area, will facilitate increasingly detailed observation of these distant planets. The first image of an exoplanet, 2M1207b, was obtained in 2005 at the VLT (Very Large Telescope) using its adaptive optics facility, NaCo, which corrects atmospheric turbulence in real time. This observation was made possible by the fact that the planet orbits its star, a faint brown dwarf, at a great distance. According to NASA, only twelve confirmed terrestrial planets are thought to be located in their star’s habitable zone, which is neither too close nor too distant and where water could exist in liquid form. However, it is now a known fact that most stars are orbited by rocky planets like the Earth. Provided that researchers successfully characterize the gases making up the atmosphere of a super-Earth located in this zone, they could try to detect biotracers, such as oxygen, ozone, methane and—who knows—even traces of life. Closer to science fiction than reality, the notion of interstellar voyage conjures up a host of fantasies: will humans one day set off to explore the Universe? 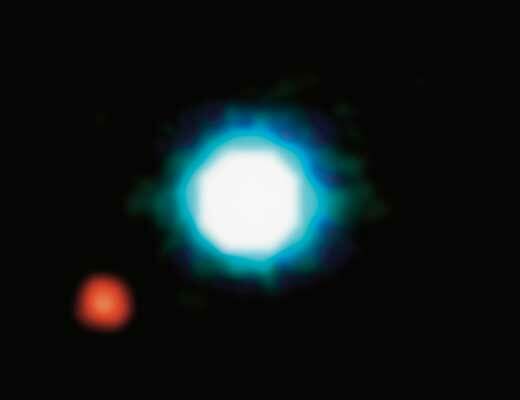 Twenty years ago, the first exoplanet was discovered. Today, more than 3,000 have been detected. And it is still early days: the Universe contains billions of billions of stars, and at least as many planets. For all that, are interstellar journeys really possible? Will humanity ever set foot on these distant planets? 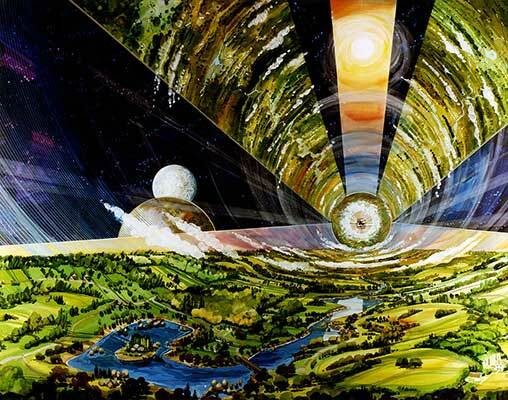 Colonizing space seems far-fetched: after all, humans have only started traveling in space in the last half-century. 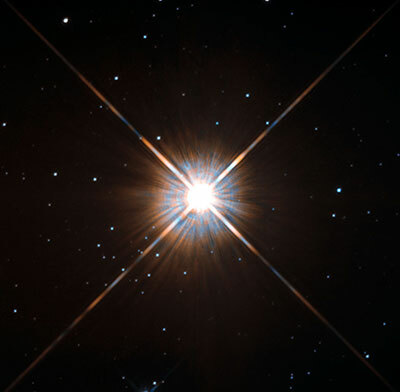 Take for example an exoplanet 4.2 light years from Earth, in the vicinity of Proxima Centauri, the nearest known star to our Solar System. Let’s start from the premise that the planet is located in its habitable zone. Given that a light year is the distance traveled by light (in a vacuum) in one year, in other words 9,455 billion kilometers, this imaginary planet is situated at a distance of 39,711 billion kilometers from Earth—quite a trek! Unlike the distances in the Solar System, those separating us from the other stars are huge. While it takes around six months to travel to Mars, some 70,000 years would be necessary to reach Proxima Centauri. Yet before considering an interstellar voyage, or more modestly, a journey to one of the planets in the Solar System, a number of parameters need to be taken into account. What should the final destination be? Should trained astronauts, ordinary citizens or robots go? What should they take with them? In addition, sending a payload into space is extremely expensive: at current rates, one kilogram costs between €10,000 and €25,000! And what about energy? Traveling huge distances at high speeds requires massive energy expenditure. The example of the Saturn V launcher, which took the Apollo mission astronauts to the Moon, speaks for itself: for 165 seconds during take-off, the first stage supplied 120 GW, which is the output of 120 nuclear power plants or, alternatively, 0.7% of world power production in 1969. It would take the equivalent of the world’s total annual energy consumption to launch an unmanned 1,000-ton rocket, which would not exceed 10% of the speed of light. Once these issues have been resolved, an itinerary must be determined. A straight line is out of the question, since only a curved path (an ellipse, hyperbola or parabola) is possible in space, which is cluttered not only with planets and stars but also with dust. The main challenge in space propulsion is the production and storage of energy. Today’s propulsion methods would only secure a cruising speed of 20 km/s between the stars. Reaching the nearest exoplanet would therefore require thousands of years. Spacecraft with nuclear thrusters would only be able to achieve around 10% of light speed. A solar sail powered by huge lasers or by solar radiation could potentially match those speeds, or even exceed them, but this would still be far from enough. – increasing the energy storage capacity of the engine, with more powerful thrusters or better fuel. Regarding the thrusters, fission, fusion and the use of matter/antimatter propulsion (although only a few millionths of a gram of antimatter are produced each year) are the focus of research. – using the force of gravity or gravity assistance. Escaping from the gravitational attraction of a planet requires considerable amounts of energy. To escape Earth’s gravity, a spacecraft has to reach a minimum speed of 11.5 km/s, the escape velocity. Once it has reached it, nothing can stop it and it will keep going at the same speed. Its flight path will then depend on the gravity of planets as it flies past or swings around them. – finding energy in space. Logically enough, solar energy becomes less effective as the distance from the Sun increases. 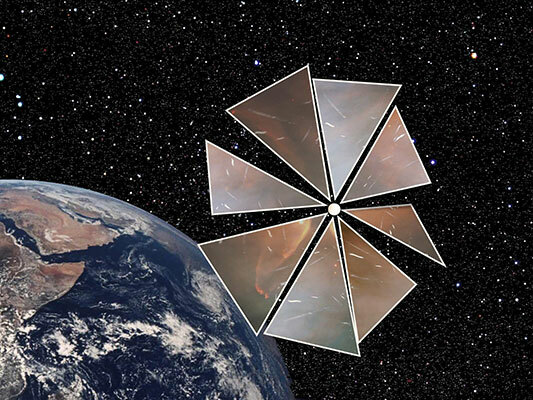 As well as the possibility of resorting to nuclear energy, the use of solar sails is also being investigated. The solar sail, or light sail, relies on the radiation pressure from stars to travel through space, rather like a sailing ship. The main obstacle to the development of manned missions is, of course, time. The duration of interstellar voyages would not be compatible with human lifespans. However, it is not the only factor at stake. The transmission of information is also key. No interaction or communication would be possible between the Earth and the spacecraft. Sending a manned mission would no doubt mean having to do without. Based on past and present space travel, human adaptation to space has become the focus of study and research. Before a manned mission can be sent to settle a planet, many a hurdle needs to be overcome. NASA has drawn up a list of 45 risks facing a crew during a mission, mainly in terms of health, safety and performance. « Space sickness » (dizziness, nausea and vomiting) affects around 40% of astronauts and upsets their sense of direction until they adapt. 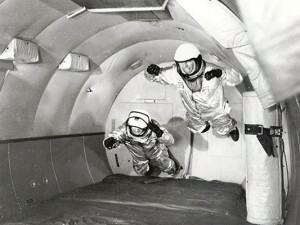 However, the main physical effects are caused by weightlessness. In the course of a mission, astronauts lose 1% of their bone mass each month. When exposed to weightlessness, the skeleton begins to deteriorate. When the human body is weightless 24 hours a day, it adapts to these new conditions: the longer the time spent in space, the more the bones lose calcium. Not to mention a significant loss of muscle mass. In the event of a manned mission, it is therefore necessary to find a way of countering this phenomenon by exercising several times a day, or even by creating artificial gravity to offset the effects of weightlessness. Would-be participants would have to undergo intensive training over very long periods of time (probably longer than is currently the case for professional astronauts), for example using centrifuges to allow the body to adapt. 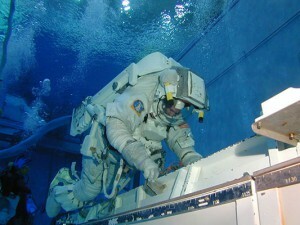 To learn how to deal with extreme environments, astronauts can undergo other training: the Neutral Buoyancy Laboratory, the world’s largest indoor swimming pool, which used to contain a full-scale mock-up of a space shuttle. At a depth of 12 meters and fully suited, they learn to work in weightless conditions, spending up to 10 hours in the water for every hour they will spend in space. The training prepares them for extravehicular spacewalks, principally to undertake repairs or alterations to the International Space Station (ISS). When it comes to surviving in space, supplies are another crucial issue: to carry out long-term missions, it is important to ensure that some key processes for self-sufficiency operate as closed circuits. 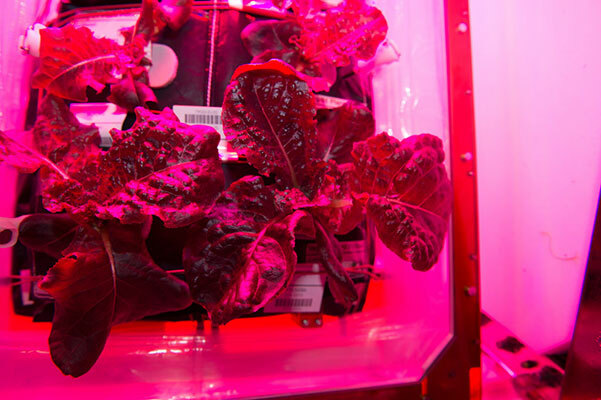 Based on past experience, a number of possibilities are being considered, such as taking all the essentials on board the spacecraft, or ensuring regular supplies, with the Moon or Mars as loading stations (this would require a permanent human presence at these sites); growing food in the spacecraft (in August 2015, the astronauts on the ISS dined on the first-ever space-grown lettuce); and/or setting up a self-sufficient ecosystem including a comprehensive recycling system (waste recycling, absorption of CO2, production of oxygen and good-quality food in sufficient amounts). Waste management would be a challenge on a manned mission, especially the production of drinking water from wastewater. It will be a long journey. The settlers will therefore have to endure life in a closed ecosystem where they will have to produce their own oxygen, where every accident could endanger the spacecraft, and where shortages could rapidly be felt. The impossibility of communicating with Earth could also create a feeling of intense isolation, and the hypothesis of a one-way journey could raise psychological and ethical issues. Not to mention the feeling, rightly or wrongly, of being the only form of life on another planet, unlike on Earth. 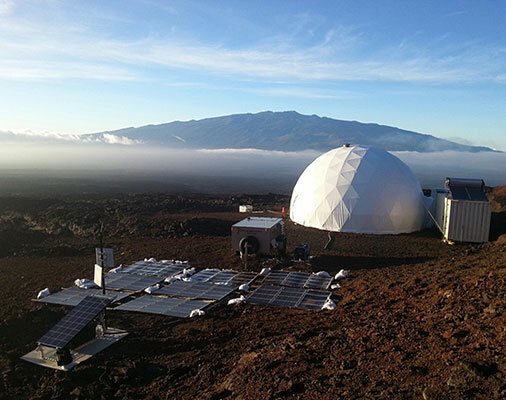 To lay the foundations for a future mission to Mars, six volunteers selected by NASA (a French astrobiologist, a German physicist, and four Americans—a pilot, an architect, a doctor/journalist and a soil scientist) have been confined to a dome eleven meters in diameter and six meters in height on the Mauna Loa volcano in Hawaii, for a period of one year starting at the end of August 2015. To reproduce the conditions of life on Mars, they only leave the dome wearing a spacesuit. The six volunteers are aligned with Martian time: their day is 37 minutes longer than on Earth, and it takes 20 minutes for messages to travel between the base and the station, i.e. the time for a radio signal sent from Mars to reach the Earth. They also have to wear various sensors that measure light and noise levels, the social interaction between the crew, their degree of activity, and sleep patterns. The aim of the experiment is to ensure that in future missions, potential limitations will be of a technological rather than a human or psychological nature. It follows on from mission 2 (120 days) and 3 (240 days). – and their return—or failure—is much less of an issue. Manned mission or not ? But whether missions are manned or not, it will be essential to ensure that the technology works throughout the journey, and that humans or machines will be able to cope with unexpected problems and technical failure. There is also the issue of financial resources. The cost involved is almost unthinkable: for an interstellar voyage, it would probably run into thousands of billions of dollars (the ISS, a modest undertaking compared with an interstellar mission, has already fetched around a hundred billion dollars). Nonetheless, who knows what humans may come up with in the future? Truth is stranger than fiction. « Ideas sometimes come out of the blue », says Jean Schneider, an astronomer at the Paris Observatory. After all, it is only twenty years since the first exoplanet was discovered. In the previous two options, another factor comes into play. Although the interstellar medium is extremely tenuous, it is by no means empty and is actually full of gas and dust. If a grain of sand were to strike a spacecraft it would seriously damage it, even in the event of a slow interstellar voyage. « The cosmos isn’t empty. If one day we manage to reach or to near the speed of light, the tiniest of dust grains would turn into an extremely powerful projectile, » Schneider points out. He even suggests « sending a spacecraft in several parts and copies. The ship would be endowed with artificial intelligence that would enable it to self-assemble once at destination. Hopefully, some of the parts would escape the dangers of the interstellar medium ». For Fermi therefore, if life has become increasingly complex everywhere in the Universe, why have we never seen any signs of other civilizations? So where is everybody? 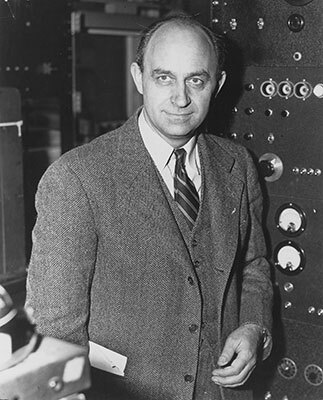 Fermi’s vision is anthropocentric, in that he sets out from the assumption that a developed extraterrestrial intelligence must have followed the same path as human consciousness. If extraterrestrial civilizations exist, they may use technologies that are far more advanced than our own—or unknown to us, or broadcast radio waves at different frequencies. There may be too much noise in the Universe for us to hear them, or perhaps we may not be listening for the right things. And what if life and consciousness had developed in ways that are unknown to us, and that we can’t even imagine? The SETI (Search for Extraterrestrial Intelligence) Institute is an organization founded in the US and dedicated to the search for intelligent extraterrestrial life. The program monitors electromagnetic radiation, whether emitted intentionally or not, in the hope of detecting signals that some form of intelligent life might transmit from an exoplanet. The project, initiated in the 1960s, is sponsored by Stephen Hawking and funded by a Russian billionaire. 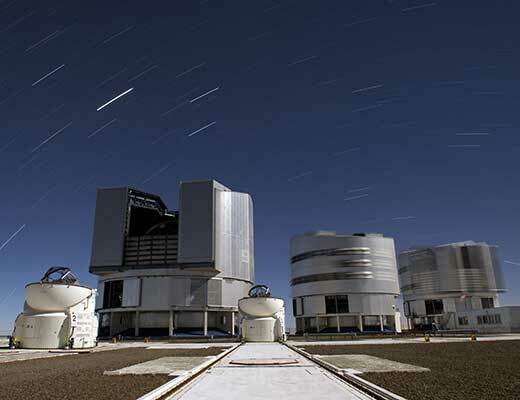 Its $110 million budget serves to buy telescope time and pay scientists. The US astronomer Frank Drake has also studied these questions. He is the inventor of a formula, the Drake Equation, which aims to estimate the potential number of extraterrestrial civilizations in our Galaxy with whom we might make contact. The equation takes into account the number of stars in the Milky Way, those that have planets, and among them, those that have water, those on which life has probably evolved, those that may have harboured intelligent life, those where intelligent life has developed communications, etc. It’s not a real equation with independent variables but rather a series of probabilities. Many estimates of the value of the parameters in the Drake equation have been suggested over the years. How many civilizations are there in our Galaxy? There are no extraterrestrial civilizations: we are alone. According to the authors, this hypothesis is highly unlikely.. There are extraterrestrial civilizations, but interstellar travel is too expensive and too dangerous to be undertaken by any of them (according to Drake). This possibility appears plausible.. There are extraterrestrial civilizations and interstellar travel is possible, but colonization of the Galaxy is very slow, and these civilizations have not yet reached our Solar System (this supposes that we live in a remote « rural » area of the Galaxy), according to Newman and Sagan. The authors do not discard this hypothesis.. There are extraterrestrial civilizations: they know about us, but they have no interest in us. The authors do not validate this hypothesis. Even if our civilization is considered « inferior » by other civilizations, it would still be of interest, in the same way as we are interested in primitive civilizations. There are extraterrestrial civilizations: they are observing us discreetly, while making sure they do not influence us. 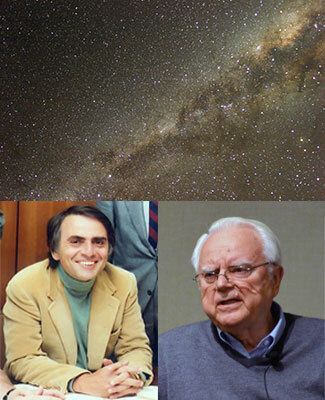 This is the « galactic zoo » hypothesis suggested by the US radio astronomer John Ball in 1973. There are extraterrestrial civilizations: they are observing us and take part in our affairs surreptitiously, in particular via UFOs. For the authors, this type of intervention is possible.. There are extraterrestrial civilizations: they have influenced life on Earth from day one, and created us. Variants of this hypothesis would explain why we cannot see them. * « La vie extraterrestre », Jean-Claude Ribes, Guy Monnet, Paris, Larousse, 1990. Another conjecture is that extraterrestrial civilizations are all around us, but we are too primitive to see them. 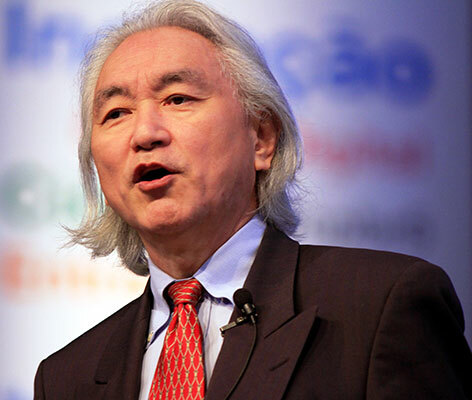 As the US theorist and futurologist Michio Kaku puts it, this hypothesis boils down to imagining an ant-hill in the middle of the forest and, right next to it, a ten-lane motorway under construction. The question is whether the ants would be able to understand what a motorway is and whether they could grasp the technology and intentions of those building it. There are three categories of hypotheses about extraterrestrial civilizations: they are there, but we don’t know it; they exist but have not communicated with us; or they don’t exist. For Michel Viso, in charge of the astrobiology program at the French National Space Agency (CNES), searching for an intelligent and intelligible message from space is like playing the lottery: the odds are against you, but if you win, you hit the jackpot! According to the French Astrobiology Society, set up in 2009, astrobiology is an interdisciplinary science that focuses not only on the search for extraterrestrial life but also on understanding the key environmental factors that led to the emergence of life on Earth. Astrobiology combines various parameters such as the prevailing conditions on the early Earth, the physical and chemical limits of life, the exploration of habitable environments in the Solar System, and the search for signs of life on exoplanets. Chemists, biologists, geologists, planetary scientists and astrophysicists all make significant contributions to this interdisciplinary field of research. Astrobiology relies on three methods: observations and measurements, the use of ground- or space-based spectroscopy; experimentation in the laboratory and in orbit; and predictive computer modeling. Astrobiology relies on three methods: observations and measurements, the use of ground- or space-based spectroscopy; experimentation in the laboratory and in orbit; and predictive computer modeling. What are we looking for? How can life be defined? 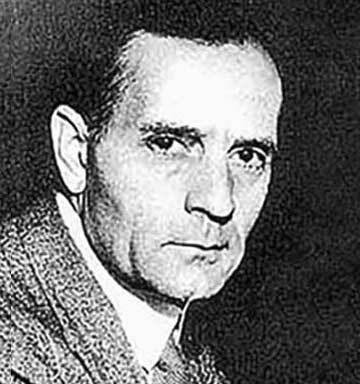 Defining something is always restrictive—hence Schneider’s cautious definition, which does not exclude other forms of life that may have emerged from the ‘primordial soup’: « (life is) complex organic chemistry in the presence of water ». However, it could take on other forms and have developed under different conditions, like the Earth’s extremophile organisms for instance. It was Joshua Lederberg, a pioneer of molecular genetics and laureate of the 1958 Nobel Prize in medicine, who first coined the term ‘exobiology’ (now more commonly known as ‘astrobiology’) in the 1960s, to designate the science that focuses on extraterrestrial life. The new scientific discipline rapidly expanded. In 1975, only six years after man first walked on the Moon, NASA launched the Viking program. 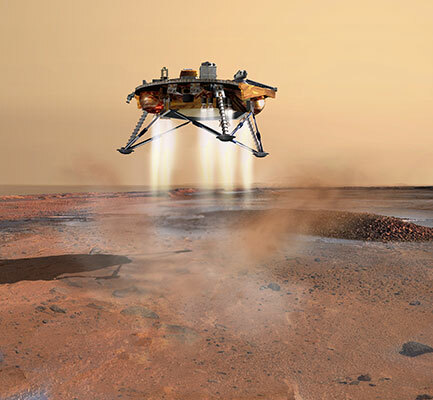 Both Viking space probes that landed on Mars the following summer performed the first astrobiology experiments in space exploration: the two landers were carrying three instruments specifically designed to look for evidence of biological activity in the Martian soil, and enabled scientists to draw the outline of the Red Planet. Meanwhile, the two orbiters mapped 97% of the planet. Astrobiology focuses on life in the Universe. As a result, it is a scientific field whose objective is not clearly defined: one does not always know what to look for, since life on Earth is the only one we are familiar with. When looking for it elsewhere, astrobiologists therefore start from terrestrial life and extrapolate it to the rest of the Universe. 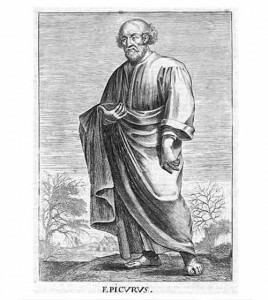 And although the question of the plurality of worlds, and of the origin of life, goes back to Democritus, it is now becoming increasingly precise. What if life existed elsewhere? Does it make sense to take life on Earth, based on carbon, hydrogen, oxygen, nitrogen, etc, as a reference? Why not look for other chemical elements that could have favored life? If life does exist elsewhere, it is likely to be based on the most abundant elements and compounds in the Universe, and on combinations of some of the most reactive elements. There is little reason to think that it would be otherwise. Astrobiologists base their judgment on what they consider to be a sound scientific argument. In an article published in the journal La Recherche, biologist Michel Morange explains that, « carbon is abundant in the Universe, it is the element that has the most varied chemistry, and forms compounds the most easily. For these chemical reactions to take place quickly, a good solvent is necessary—and few are as effective as water ». 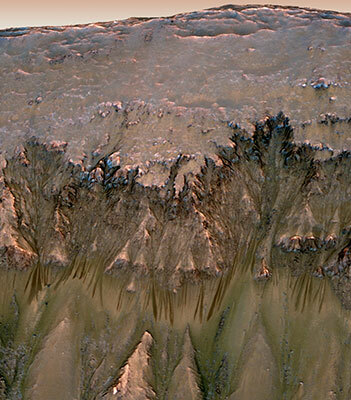 The search for biosignatures, chemical or physical indications of the presence of current or past life, such as the gullies observed on Mars, is playing an increasingly important role in research. The same goes for studies of chemical reactions that produce or alter organic materials. The first signs of life on exoplanets could be the simultaneous presence of carbon dioxide, diatomic oxygen and/or ozone in a planet’s atmosphere at specific abundance ranges. The astrobiologists followed a principle, namely that the habitable zone of planetary systems depends on how far the star is: the only habitable bodies are those located at a distance where the energy provided by the radiation from the star allows water to remain liquid. In our own Solar System, this corresponds to an area situated between Venus and Mars. Mars may once have been habitable, or even inhabited. Recent discoveries have led scientists to take a fresh look at the notion of habitability, which, for a planet, cannot only be a matter of being at the right distance from its star. On the moons of Jupiter and Saturn, for instance, the tidal effects exerted by these two gas giants provide them with a constant source of energy that maintains their geological activity, allowing the existence of oceans of liquid water underneath their icy surfaces and thus making them potentially habitable. By 2020-2030, the ESA and NASA will be sending missions to Jupiter and Saturn. 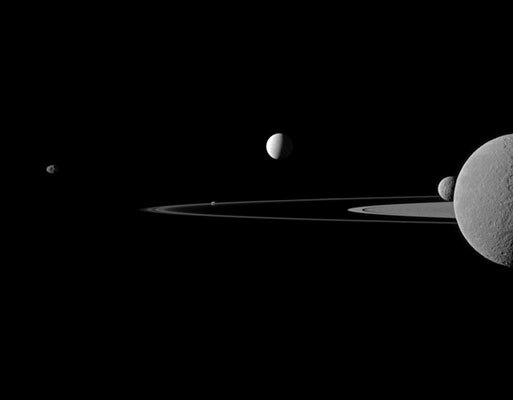 These spacecraft should provide information about one of Jupiter’s moons, Europa, and two of Saturn’s moons, Titan and Enceladus. 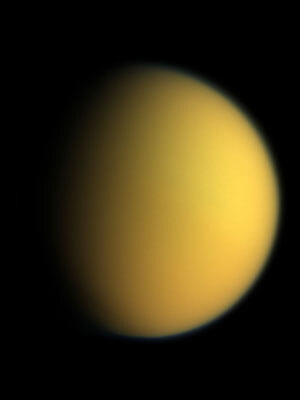 Titan as seen by the Cassini spacecraft. Enceladus, one of Saturn’s seven largest moons, is a small body (500 km in diameter) that fascinates scientists. In 2005, flybys by the Cassini spacecraft revealed an extremely complex, bizarre terrain that was difficult to explain on such a small object, with geysers of up to eight-kilometers in height. In October 2015, Cassini sent back its first images from a flyby a mere 49 km from the surface, as it flew unhindered through plumes of water vapor and ice particles ejected from the south pole. Could there be a liquid ocean beneath the surface of Enceladus? Astrobiologists are even speculating about the existence of hydrothermal vents. Energy, the likely presence of liquid water, and carbon chemistry: Enceladus may well have all it takes for life to develop. The discovery of life in our Solar System could open up new scientific, sociological or even philosophical perspectives, depending on what is found. And should nothing be found, it could mean that even when the right conditions are met, life does not automatically develop, and that a link is missing—but which? The story continues. Life could be hiding somewhere among the hundreds of billions of stars, and at least as many planets, that make up our Galaxy. Could there be other worlds, other forms of life? the astronomer Carl Sagan once said. For Vincent Bourrier, an astrophysicist at the University of Geneva (Switzerland), « atmospheres are currently our main window to the physics and chemistry of exoplanets—and source of information about the nature of planets ». The various chemical elements that make up an atmosphere produce different signatures depending on their properties (abundance, temperature, wind speed, and density). Analyzing these signatures therefore makes it possible to probe different regions of the atmosphere and reconstruct its structure and chemical composition. When the light emitted by a star travels through the atmosphere of a planet, certain specific wavelengths are absorbed, providing a unique fingerprint that researchers can study with a spectrograph. The signatures of various elements and molecules can then be extracted from this spectral fingerprint. 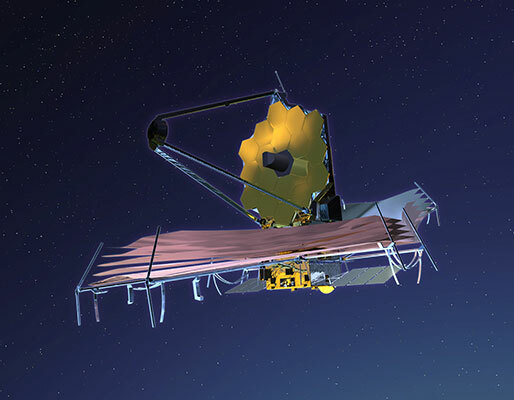 While the exploration of the atmospheres of exoplanets is still in its infancy, the JWST telescope, which will take over from the Hubble Space Telescope in 2018, will enable researchers to take it further. 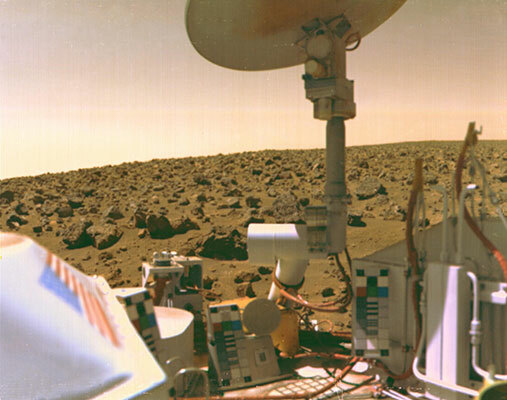 Meanwhile, some astrobiologists are embarking on the search for biosignatures, such as vegetation on the surface of planets, which should be made possible by future spectral imaging space projects. A study published in Nature in December 2015, A continuum from clear to cloudy hot-Jupiter exoplanets, presents an analysis of the atmospheres of ten hot Jupiters or more precisely, of their atmospheric spectra. The researchers aimed to obtain high-resolution spectra and detect—if present—the characteristic absorption of the star’s light by water. The complementarity of observations by the Hubble Space Telescope in the ultraviolet and Spitzer telescope in the infrared made it possible to achieve an extremely precise characterization of the physical properties of the atmospheres of these ten exoplanets. This was the first time that a team of researchers could gather enough characteristics to compare exoplanets—with surprising results, as the atmospheres proved more diverse than expected. In fact, the researchers were able to distinguish two main categories of atmosphere, cloudy and clear. Human beings are curious by nature. And the first questions we wanted to answer were: are there any extrasolar planets? Are they common? Is our Solar System unique? After twenty years of research, we have discovered several thousand exoplanets. These bodies appear to be both very common and abundant, and our Solar System is far from being the only one of its kind in the Galaxy. What is extraordinary is that detecting an exoplanet is rather like managing to see a distant firefly fluttering around a powerful searchlight! The quest for other worlds is an exciting human adventure, and it is above all the detective work that attracts me: not only understanding the origins of our Solar System, its formation and evolution, but also identifying Earth-like planets and determining whether life has been able to develop elsewhere in the Universe. Although we don’t yet have the answer to that last question, we have a feeling that as technology develops we may see results in our generation or in those to come. On the other hand, I have serious doubts about the ability of any civilization to journey between the stars, and that of humans to undertake space travel. Exoplanets fire imagination and are a source of inspiration for writers and film directors. 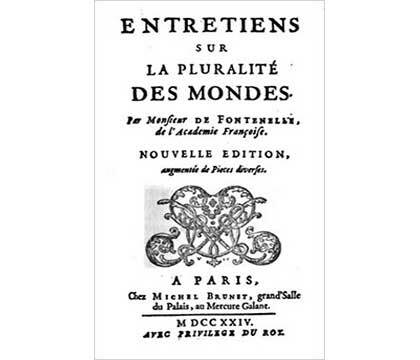 The question of whether life exists elsewhere is central to the study of exoplanets, and raises many philosophical and religious issues. It should have a huge impact whenever we are able to actually confirm that a planet is habitable and could harbor life. Novelty is another factor. It has only been twenty years since we discovered the first exoplanet, a field where discoveries and understanding are developing at incredible speed. That’s very motivating, and it gives us the opportunity to look at a wide range of issues, such as discovering new planets, studying their formation and development, their interactions with their star, and so on. Not being able to get to an exoplanet physically does not prevent us from asking questions that go beyond the mere study of these celestial bodies, or from widening our knowledge and changing our perspective on living systems. It seems to me that humans have always sought not only to explore their immediate environment but also to venture out of their own habitat, see life forms other than those in their immediate vicinity (fauna and flora), and meet people who are different from those that surround them. Today, for the first time in the history of humanity, man can look beyond the Earth and out to the stars, and ask: is there anybody out there? And then, as in the case of travelers who come home after a long absence, the discovery of « other worlds » sheds new light on our own place in the Universe. 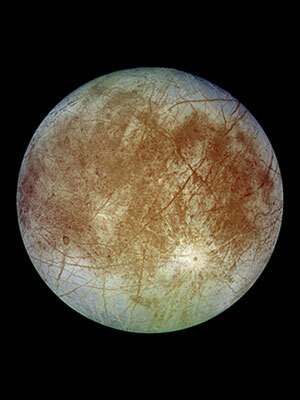 We already know that there is no developed life in the Solar System (although we cannot exclude the possibility of some kind of submarine life on Europa and Ganymede). This leaves us with the extrasolar planets. There are billions of them in the Galaxy, making it plausible that at least a few might harbor highly developed, or even ‘intelligent’, life. Yet this raises a multitude of questions: is a life radically different from ours still life, or is it something else? How can we understand non-human thought with our human concepts? A tremendous adventure lies ahead. Is there life elsewhere? Could the Earth be an exception? To begin to answer this question requires a sufficiently large sample of planets. Until then, astrobiologists are not short of objectives: they are currently studying life in extreme terrestrial environments with features reminiscent of other planets, such as the desert of northern Chile, which incidently, is also home to the European Southern Observatory. – The Andromeda galaxy seen in visible light and at millimeter wavelengths (millimeter radio image taken with the IRAM 30-meter telescope on Pico Veleta, near Granada, Spain), showing the carbon monoxide emission from the dense molecular gas in which stars form. © IRAM 30m/MPG/IGN/CNRS-INSU. – ‘Galaxy sky’. Numerical simulation of the structures of the Universe carried out on a CRAY 2. © Jean-Michel ALLIMI/INSU/LUTH/CNRS Photothèque. – Image of the Centaurus A galaxy, processed in false colors. © INSU/MAMA/CNRS Photothèque. – Image of the Omega Nebula taken by the Canada-France-Hawaii Telescope. The Omega Nebula is a region of gas and dust. © INSU/CFHT/CNRS Photothèque. – A small part of the Milky Way, seen from Concordia Station, Antarctica. © Pascal ROBERT/OTELo/CNRS Photothèque. – Image extracted from a numerical simulation of the formation of the large-scale structures of the Universe, showing a sample 100 million light years across and the result of the motion of galaxies traveling towards the higher concentration of mass in the center. © Klaus DOLAG/VVDS/ESO/INSU/CNRS Photothèque. – Image showing part of the Milky Way in the direction of the constellation of Sagittarius. Absorbing dust clouds can be seen silhouetted against the Milky Way. © Michel MARCELIN/CNRS Photothèque.